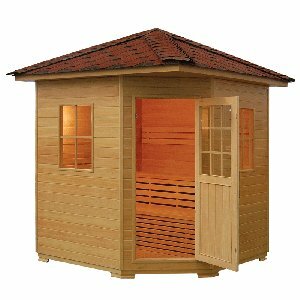 Choosing a high quality wooden outdoor sauna from UK-Saunas allows you to enjoy the fresh open air in the pleasant surroundings of your own back garden. 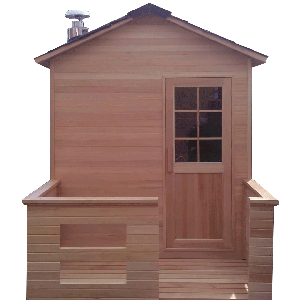 With a simple assembly, these kits can remain in place for many years enjoyment. 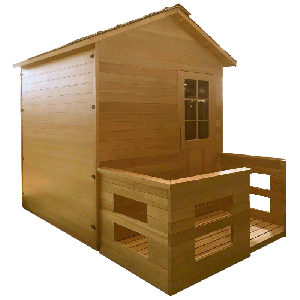 If you are pushed for space inside your home an outdoor model is the perfect solution; because it is based outside, you won’t need to build an extra room or try to make space in your existing rooms, which can add to the installation cost. 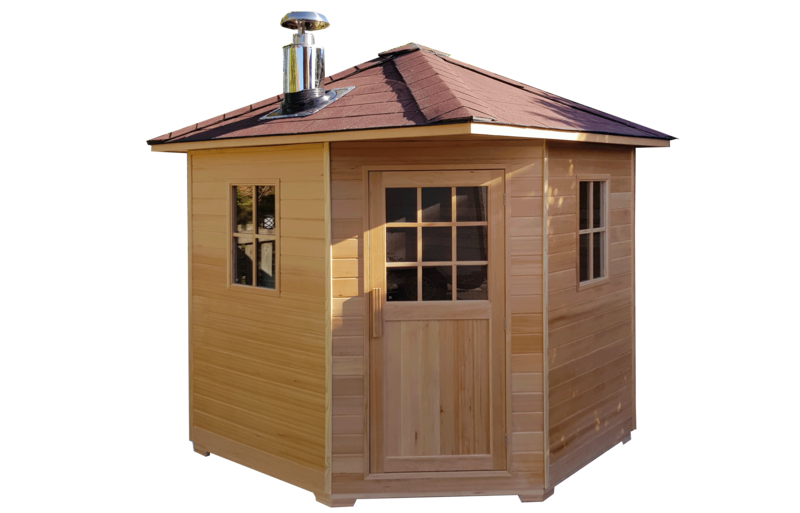 Proper ventilation allows fresh air to enter the sauna and is an important part of maintaining a healthy sauna; installing adequate ventilation for an outdoor sauna is usually cheaper and easier to achieve than an indoor sauna. 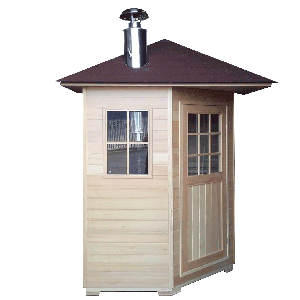 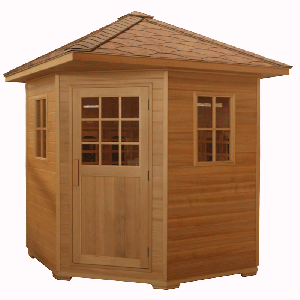 We use the best available materials to construct our saunas such as Red Cedar and Canadian Hemlock wood, which is a thermally efficient wood that is not prone to warping as is commonly the case with other kinds of wood, for example pines. 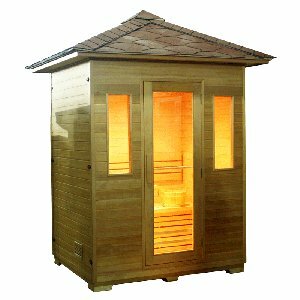 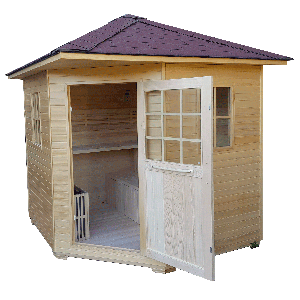 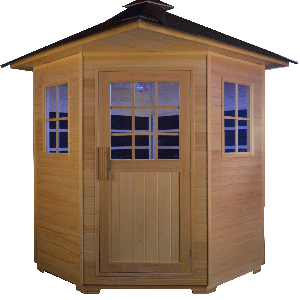 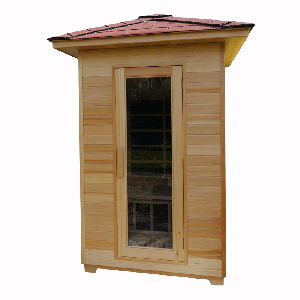 We have a specially constructed range of outdoor saunas which are supplied in two different sizes, Standard Outdoor which are designed for up to three persons and Large Outdoor which are suitable for up to four persons. 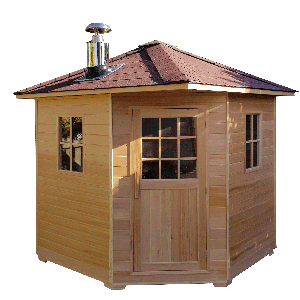 Choose from either carbon or ceramic heaters and entertainment systems including CD or DVD players.